Since the birth of the SEO industry, Google has evolved day in, day out and marketing agencies like ourselves have also had to adapt. Many SEO tactics that got results 5 years ago, are now a huge NO GO! However, one of the things that is still imperative in any internet marketing campaign is making sure that the correct on-site optimisation is in place and is meeting Google’s criteria. 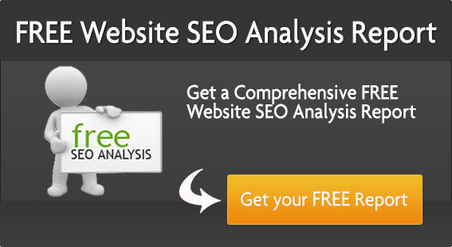 Is your websites on-site optimisation up to scratch? Below are 9 different factors you NEED to be looking at to ensure you have a good chance of ranking in todays competitive world of SEO. Your main, priority keyword should be at the front of the Title Tag. It is a proven fact that a website whose main keyword appears first in the Title and not towards the end, ranks better. It should make the searcher want to click on the site. Add relevant internal links within the body of text to other useful pages on your site. Make sure you don’t mention a keyword too many times and just write naturally. Make sure your content is useful, informative and captivating. Content in the range of 600 – 1200 words tends to rank better. Make sure it is eye catching and has an incentive for the searcher to click through. Have a good call to action. Include keywords to make it more relevant, but again don’t over do this. Stand out from your competitors, don’t just copy what everyone else is doing, be different. Meta keywords were once spammed by SEO’s and webmasters and they would just put everything they wanted to rank for in this tag. Since then, this tag has really been forgotten and Google no longer takes it into account, however some of the other search engines around the web do consider it as a point of relevance so it is still worth filling in. Only put the main keywords or phrases that are relevant to the page you are on and don’t overdo it. Somewhere between 3 – 10 phrases is plenty and they should be separated by commas. Only have one H1 at the top of the content. This shouldn’t be over optimised but should include a relevant keyword (only if this looks natural and isn’t forced). Other sub headings on the page should be categorised as H2, H3 and H4 tags. The url structure on a webpage is one of the most important factors you need to think about when optimising your website. Pages with url’s that include keywords in them, related to the search and content on your page are proven to rank better than those without. It also sends a signal of relevance to the person searching before clicking on your site in the SERPs. Alt text is like another meta tag that is found in the background on a website. It can be placed on images and is again another thing that Google Bots will see as a relevance signal. Image alt text should again not be over optimised (like anything) but it should be relevant to the content, keywords targeted on that page and the image itself. Feed the Bot’s Alt Text Checker is a good tool to see which images on your webpage have alt text and which don’t. Having an XML sitemap on your website is an important on site optimisation factor as it helps the Google Bots to crawl your site easier and index all of your pages. If a page isn’t indexed it can’t rank. These factors above are a few of the most important on-site optimisation factors you need to have right on your website if you want it to rank as well as possible. SEO Elements: What’s Essential for Your Web Content?